It's not tape, exactly, in that it's not adhesive. 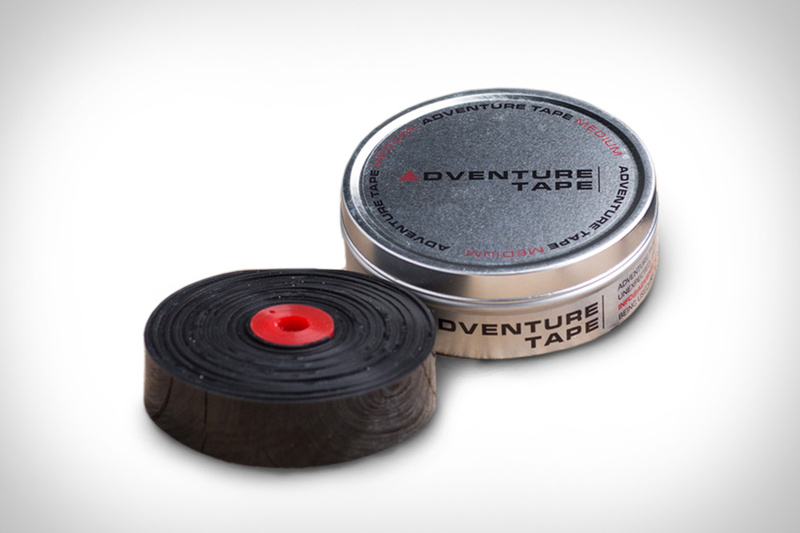 Adventure Tape is worth throwing in your pack anyway. Initially developed by a worker at UK-based Watts Urethane Products as protection for the chainstay on his bike, this wonder material is made from durable polyurethane. It's sturdy, waterproof, resistant to abrasions, and stretchy. In addition to tackling regular tape jobs such as repairs and fixes, it can also replace bungee cables for jobs like holding down your trunk lid or compressing bulky items, and unlike tape, it's reusable. Available in 9mm, 18mm, 43mm widths. Protected by bullet-proof spyglass and a sophisticated LED lighting system, the Solitaire Vision Watch Safe from Buben & Zorweg can hold up to 46 timepieces in safety and style. And since it's as fun to spend time with your collection as it is to obtain each watch, the safe integrates a cigar humidor, bar module, and Hi-Fi system. Dremel's handheld tools are great for smaller projects — but when it comes to precision cuts, it's hard to beat a computer for accuracy. The Dremel DigiLab Laser Cutter combines the reliability of the former with the capability of the latter. It can easily slice through wood, acrylic, leather, and paper, and engrave harder materials like glass and anodized metal. 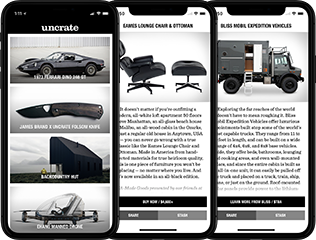 Intuitive software makes it easy to import new designs, while the in-unit camera can take models you've already made and add them to the library for future use. Arriving summer 2018. We still need at least a few keys every day, but some key rings are out of control and make us announce our arrival from a mile away. The Key Titan silences your keys using a suppression ring that keeps them firmly in place. It also features easy two-step key removal, so your keys are in the same place each time you need them. Each one also provides a 1/4" slip wrench and a concealed bottle opener. Available in three different models, it's a great addition to any everyday carry. No one wants to use a hand pump on the side of the road. Compressed air canisters work in a pinch, but they're not reusable. The Mini Fumpa Bicycle Pump can get you back up and running in under a minute, no waste required. It weighs under seven ounces, fits in a pocket, and is powered by a rechargeable battery that can inflate a single tire up to 120 psi or a pair of tires up to 100 psi each. It works exclusively with Presta valves, while the full-size Fumpa trades size and weight for added compatibility. Inspired by the Cubit ruler, the earliest known measuring device, the Qbit is a tool you can carry with you at all times. It's precision-turned on a Swiss CNC lathe from stainless steel or brass, with machines scales and laser-etched graphics in either Standard or Metric units. A hole on one end makes it easy to attach to a loop or hook, and the adjustable marker makes it easy to remember important measurements. Available in three- and six-inch versions. No one wants to carry a toolbox into the wilderness. With the Adventure Mate Multi-Tool, you don't have to. Crafted from high-quality carbon rolled steel, this all-in-one implement has a handle that serves as storage for the 6.7-inch saw blade on the go and connects to the spade head, hammer, and hatchet when needed. One end of the saw blade also has a curved hook that works as a stake puller and bottle opener (can't have a multitool without one), and the whole thing packs neatly into a heavy canvas holster. Available in silver or stone washed black.